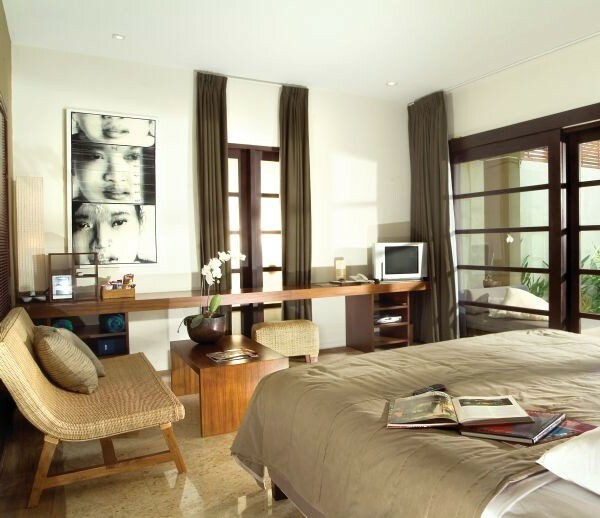 Uma Sapna Hotel successfully combines between privacy, comfort, cultural art and design that offers an unique and memorable vacation to indulge sense, the mind, body, and soul. 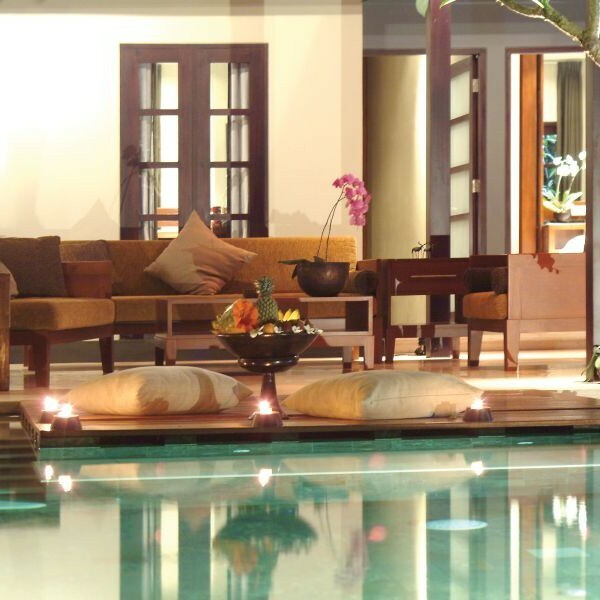 This resort has 12 villas that are arranged beautifully and each providing a high privacy. The six one-bedroom villas surround the main pool. 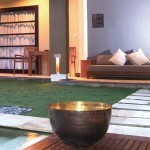 Each villa is equipped a private plunge pool that surrounded by natural feel. The bedroom with king-size bed, desk, entertainment center, mini bar, and refrigerator. 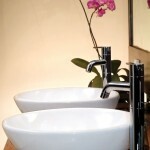 The bathtub is designed overlooking into garden with separate shower and toilet. 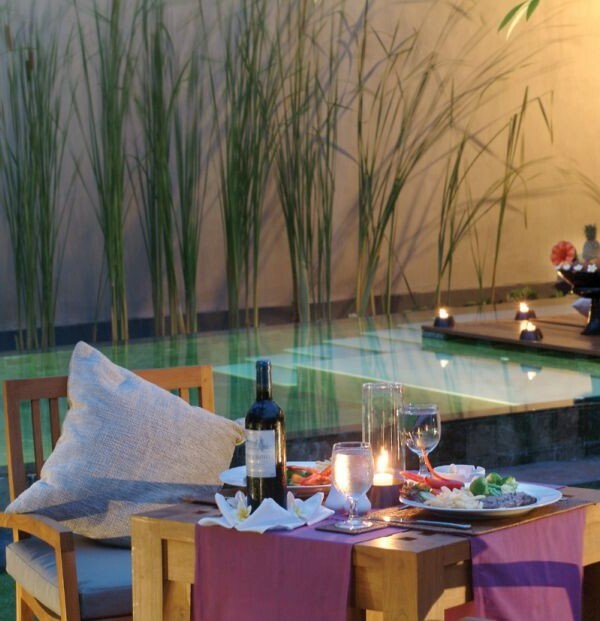 Outdoor lounge and spacious dining area leads to a pond in the middle of tropical garden. Four one-bedroom suite villas and two two-bedroom suite villas with private swimming pool surrounded by a wall at separate location. A large bedroom with king size bed, spacious lounge area with desk facility, entertainment center, mini bar and refrigerator. The second bedroom has double bed. 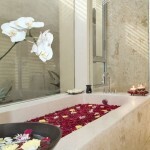 Each villa has bathtub overlooking into garden, shower with separate toilet. 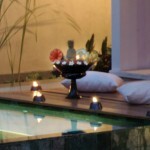 The outdoor in lounge area is designed leads to the swimming pool that surrounded by full colors garden. Two suite bedrooms overlooking into the spacious open-air lounge area that equipped with a lounge, dining room with full kitchen-style with villa-style house and chef who are ready to be called when needed. 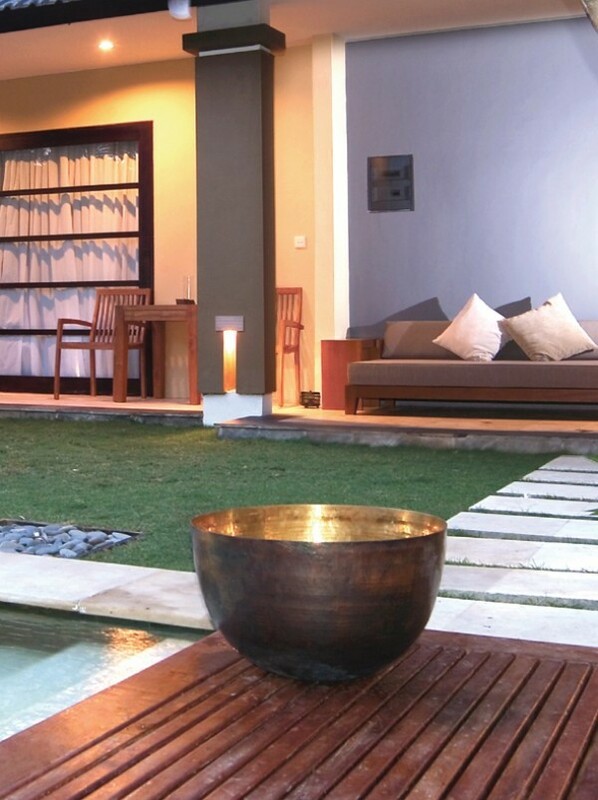 Uma Sapna Villa is a boutique resort that has several villas with one bed. 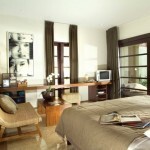 With modern interior that portrays a blend of Balinese culture with contemporary touches. 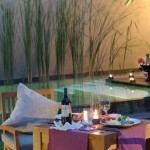 The villa gives the romantic impression, especially for couples on their honeymoon. 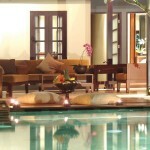 All villas can be booked for small groups or up to 12 people. Not far from the villa, there is Petitinget Temple with a beautiful beach that is often enlivened by many ceremony attractions. It should be noted that the Petitinget Beach is one mainstay beach in Bali which has a beautiful sunset view, with white sand becomes destination for surfing lovers.